Humans love to talk. Any discussion of IP Telephony needs to always keep first and foremost the understanding that the primary purpose for telephones is to allow us to talk to each other. It seems obvious, but this simple fact sometimes gets lost in technical details. Our vocal cords, tongue, lips and teeth allow us to create complex vibrations in the air around us, which when recieved by another person’s ear (and interpreted by their brain) allows the transfer of information from us to them. 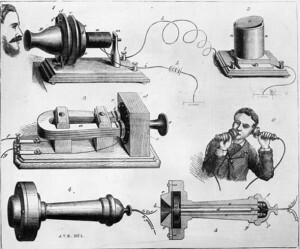 The essential parts of the telephone were figured out through experimenting with ways to convert sound vibrations in the air into electrical signals, and then convert those electrical signals back into sound vibrations at the other end. Electrical signals have an advantage in that they can travel over vast distances, and do so far more quickly than sound waves can. The first telephones were fascinating, but not very useful. You had to string a wire between you and the other end, hook up a battery, and talk really loudly. 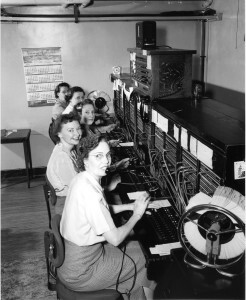 Then, somebody got clever and realized if you wire everybody’s line into a central office and hire a bunch of people to sit at that central location and answer calls, you could power everything from there, and have those operators move plugs around to connect people together. This system was incredibly labour-intensive, and also prone to all sorts of errors and ‘human’ factors, but without it the telephone might never have been anything more than an interesting science experiment. 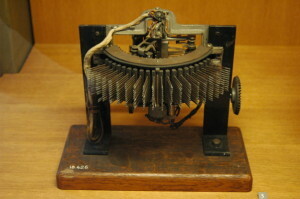 The first automatic telephone switch was invented by an undertaker, who believed that one of his town’s switchboard operators was sending all calls for ‘the undertaker’ exclusively to her husband, his competitor. The Step-by-step Switch revolutionized the industry by automating the switching of connections between the two ends of a circuit, with you doing the work of selecting the circuit you wanted using the dial on your phone. For a hundred years telecommunications took place across this circuit-switched network. The circuit created every time you made a phone call was dedicated to your call, and nothing else. 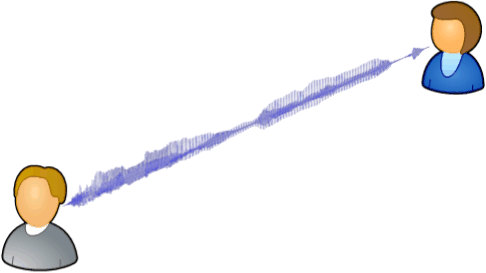 The closest analogy I can think of is that of a railroad network. All the switches and signals that have to line up just to support one train, and no other trains are permitted on those sections of rail until that train has passed. 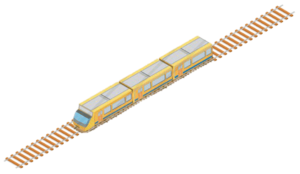 Running two trains at the same time requires two sets of tracks. In the next article in the series we’ll talk about The Emergence Of Data Networks, which are essential to IP Telephony, as they are based on packet-switching rather than circuit switching. IP Telephony—also referred to as Voice over IP (or simply VoIP)—is packet-switched voice, rather than the circuit-switched voice of decades past.